A woman playing a xiao. A xiao is a vertical end-blown flute. It is usually made of bamboo. Purple bamboo is best. It is an ancient instrument that ultimately descends from an end-blown flute developed by the Qiang of southwest China. Chinese records mention a non-Han people called the Qiang 3000 years ago. The modern Qiang are a mountain people who speak Qiangic languages, which are a sub-family of the Tibeto-Burman languages. The Qiangic dialects are so different from each other that some depend on Han Chinese to communicate. Xiao Chen was born c FO 90 and is c 32 Her parents were born c FO 55, her grandparents c FO 20, and her great-grandparents were born c TA 3000. In ancient times, the plains of Rhun were flooded and made up the great inland Sea of Helcar. The Orocarni Mountains were beyond. In time, the Sea of Helcar diminished and became the Sea of Rhun. The people of Rhun are very diverse. Some, like King Khamul of the Second Age, were called Black Easterlings. Those of eastern Rhun had more of a "sallow" complexion and were "slanty eyed". The Easterlings of the First Age were an entirely different people. During the First Age, the term "Easterling" was used to refer to people east of Beleriand in Eriador. Xiao Chen was born in the farming village of Qinweijia in East Rhun (western Qijia). Her family had a large farm and grew millet, rice, turnips, cabbage, and yams and raised chickens, sheep, goats, and cattle. They also raised silkworms on their property. With their surplus they traded for horses from Khand and other things from the west. They ate noodles made from foxtail and millet and ate millet dumplings with their vegetables. The headmen followed the lead of Khamul and Lord Sauron. Khamul was an ancient king of the Easterlings from the Second Age who was given one of the Nine Rings. Khamul followed Lord Sauron. Lord Sauron came to western Rhun in the years before TA 2500 but then he returned to the west. In the years leading up to TA 3019, Khamul reminded the headmen that Lord Sauron ruled over the entire world with an iron hand with none to defy him. Lord Sauron had the blessing of many dragons. The headmen knew dragons brought good luck and controlled the weather. 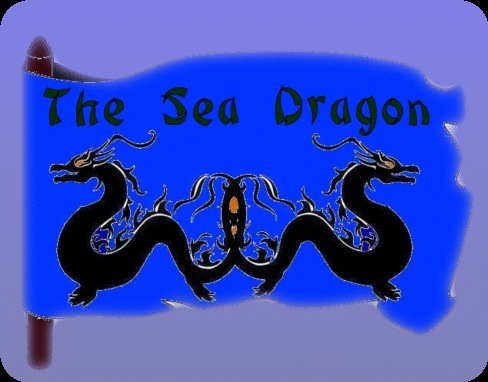 And was not the symbol of the eastern lands the azure dragon? Although he was feared in the west, Khamul said that Sauron wanted nothing but peace with those in the east. Sauron was the bringer of many great gifts and he recognized that their lands were the Middle Kingdom, the center of the world. The headmen were happy to see a powerful leader in the west recognize their great worth so when Khamul asked for troops for Lord Sauron, the headmen rushed to supply him with all he asked for. They also sent Lord Sauron a white tiger because the white tiger was the symbol of the west. Xiao Chen's family were big landowners in the area so her great-grandfather and other relatives were called to fight for Lord Sauron. They were given burgundy tunics, pants, and headcloths and gleaming armor. Then they marched away under the banner of the Azure Dragon, the Qinglong. Only one of her family came back. In TA 3019, Her youngest great-uncle came back and said the war was over and Lord Sauron and the 4200+ year old Khamul had been destroyed. The new ruler in the west was King Elessar. Many in Rhun did not accept King Elessar's rule and his forces fought in western Rhun. But as King Elessar's reign continued and new generations were born, the newer generations came to accept or at least tolerate his rule. The Avari or Dark Elves who lived in the hills said that King Elessar's wife, Queen Arwen, was distantly related to them. One of the wise (but not always trustworthy) Avari women, Loawanu, even said that a visitor from the west, called Alatar, had visited her long ago and had said that Lord Sauron was not Annatar, the giver of gifts, but an evil being. Loawanu said that everyone should follow King Elessar and Queen Arwen's rule. However, new cults were starting to form. Some longed for the glory days when King Khamul ruled with the power of one of the Nine Rings and when everyone feared Khamul the Black Easterling. Intrigued by what Loawanu, the Avari woman, had to say about Arwen and those who defeated Sauron, Xiao Chen jumped at the chance to accompany a silk merchant to the newly restored town of Dale. She now works in the markets of Dale, selling exotic foods and merchandise. Xiao Chen comes from Canton (Guangzhou) in China. Canton's earliest name was Panyu. Canton was first conquered by the Qin Dynasty. Panyu became the capital of the Nanyue Kingdom in 206 BC. The Nanyue Kingdom included Vietnam. The Han Dynasty annexed the Nanyue Kingdom in 111 BC and Panyu became a provincial capital. The city became part of the In 226 AD, Panyu became the seat of Guang Prefecture and the name of Guangzhou was gradually expanded from the prefecture to the city. The city was known to Arab and Persian pirates, who called it Sin-Kalan and sacked it in 758 AD. There were many Persian and Arab women in Guangzhou's foreign quarter from the 10th to the 12th century. The Portuguese arrived by 1514 and had a monopoly on trade by 1517. The Portuguese called the city, Cantão. China was then ruled by the Ming Dynasty (1368 - 1644). The Mongol-led Yuan Dynasty had preceeded the Ming Dynasty. During this period, rich merchants could become scholar-officials for the first time and became part of the gentry, although this was frowned on. The examinations were based on the Confucian classics, which were available in relatively cheap printed copies. Xiao Chen came from one of these rich merchant families and her father and brother were scholar-officials in Canton. Xiao Chen's mother's family comes from Yunnan, in southwestern China. Xiao Chen's maternal grandfather was born in Yunnan and was related to Ma Wenming, Zheng He's older brother. The Yongle Emperor sent Zheng He (1371–1433) out with his giant, 9-masted treasure ships. Zheng He was the descendant of a Persian who served the Mongols as Governor of Yunnan during the Yuan Dynasty. His family came to China along with Genghis Khan. Zheng He's father was Ma Hazhi. 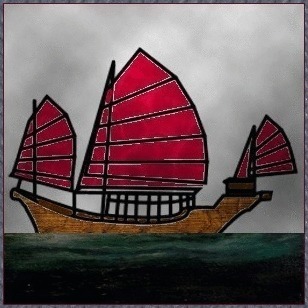 On his voyages, Zheng He sailed out of Nanjing and explored the Western Ocean (Indian Ocean). He went to Guangzhou, Malacca, Calicut, India, Mecca, and Malindi, Afica etc. Succeeding emperors discontinued these expeditions. China was ruled by Zhengde (ruled 1505 - 1521). During that time, Afonso de Albuquerque conquered Malacca for Portugal in 1511. Chinese had been living in Malacca since the time of Zheng He. Jorge Álvares became was the first Portuguese to land in China in 1513. He set out from Malacca with a Malaysian crew. The Viceroy of Estado da India, Afonso de Albuquerque, sent out more expeditions, including Perestrello's 1516 mission to Canton to form trading relationships with Ming China. 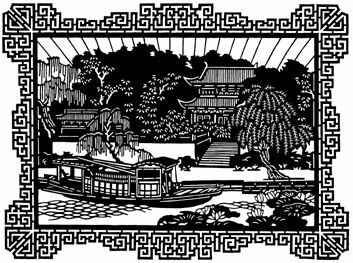 Rafael Perestrello was already a veteran of trips to China, having landed in China in 1513. Perestrello was also the cousin of Christopher Columbus' wife, Filipa Moniz Perestrello. The mission was successful and Perestrello returned to trade in Canton in 1517. The Chinese authorities limited him to trading with the merchants of Canton. Manuel I of Portugal (1495–1521), sent out more crews to strengthen trading relations. Unfortunately, the Portuguese began to break Chinese laws and abduct women. There were rumors of the Portuguese eating Chinese children. The Portuguese were not allowed to trade in China after the death of the Zhengde Emperor in 1521. But they returned in 1537 to found a Portuguese colony in Macau. [The Chinese officially accepted trading contracts in 1557, although some trade had resumed as early as 1549]. Diogo Serrão, a Portuguese mariner, sailed with Rafael Perestrello on Perestrello's 1516 and 1517 mission to form trading relationships with Ming China. Perestrello was the cousin of Christopher Columbus' wife, Filipa Moniz Perestrello. The mission was profitable and Manuel I of Portugal (1495–1521), sent out more crews to strengthen trading relations. Afonso Serrão returned on one of these later trips. On each of his trips, he had contact with a lovely young lady named Xiao Chen. 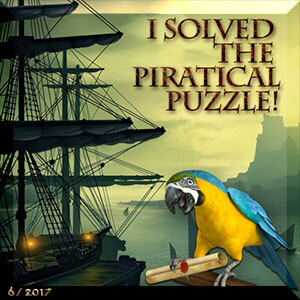 Xiao Chen was abducted by one of the less scrupulous sailors but she was then rescued by Serrão. They married and Serrão brought Xiao Chen back to Lisbon. Serrão settled down and became a merchant. But then the old wanderlust came upon him again and he decided he wanted to move. This time he moved his family to London where he sells silks and other fine fabrics. Xiao Chen helps him with his shop. Xiao Chen and Diogo Serrão have sons, Afonso (18), Francisquo (16), and Pero (8) and daughters Marinha (13) and Aldonça (11). They call Xiao Chen, Cezilia Serrão. Xiao Chen's younger brother, Xiao Yee Jee, has come to England. Physical Description: A short woman with a friendly face and dark hair. Occupation: She is the wife and mother of employees of the British East India Company. The East India Company trades with the East for cotton, silk, indigo dye, saltpetre, tea, and opium. Political bent: She is a long way from home and so is not very political, but England is her adopted country and she feels that one should be obedient to one's sovereign. Religion and degree of belief: She has adopted the belief of her husband, Alexander Hawkins, who is Church of England. Where does your character live and where has the person lived in the past. Where would your character like to live? Xiao Chen was born in Batavia (modern Jakarta). She currently lives in England. While England is her adopted home she would dearly love to go back home to Batavia, even though the Chinese face discrimination there. Hobbies: She plays the pipa, a graceful pear-shaped fretted lute with 4 or 5 strings (a plucked instrument) and the tuhu, a bowed two-stringed fiddle used by the Zhuang people of Guangxi that is similar to the more common erhu, which is also a bowed, two-stringed fiddle. The tuhu has a very long neck and a small, round body. 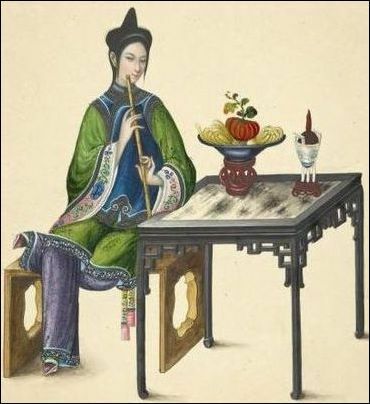 She also likes to play the xiao, an end-blown flute that is played in the vertical position. The xiao is usually made of a dark brown bamboo which is called purple bamboo in Chinese. Her daughters also play the pipa. In Batavia Xiao Chen used to play the Hailuo or conch shell. Stated dream, secret longing, fears: She is afraid she is not truly accepted in English society and she would love to return home. Her husband is Alexander Hawkins, a member of the British East India Company. Her husband was born in Calcutta in 1730. Alexander has two sons by a previous marriage to a Bengali woman, Tobias and Willyam. Xiao Chen, now Mrs. Hawkins, and Alexander Hawkins, had a daughter in 1776. Her daughter's English name is Anne. Her Chinese name is An, which means "peace". 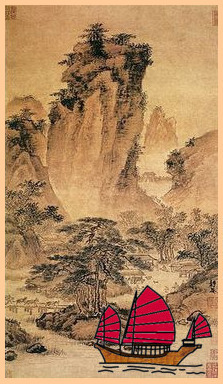 Xiao Chen's first husband was Xiao Jiang ('river'), who died in 1774. Xiao Chen's son by her first husband is Xiao Hai (born 1752) and her daughters are Xiao Lin (born 1760, aged 18) and Xiao Mei (born 1764, aged 14). Xiao Lin is now known as Lynne or Lin Hawkins and Xiao Mei is known as Mei or May Hawkins. Xiao Hai is sometimes known as Harry. He is currently away in India with the British East India Company. Her mother had told Liang Xiao Chen many times that she was supposed to be born on an auspicious day, August 8th. That was when her mother went into labor. But she was instead born on August 9th, 1918. The year is 2331. Xiao Chen is a merchant from Proxima III. Proxima Centauri is a M5.5 red dwarf 4.2 light years from Earth. It has been the closest star to the Sun for the last 32,000 years. It will come within 3.11 light years of the Sun (its closest approach) in 26,700 years. It will remain the closest star to the Sun for the next 33,000 years. At that time Ross 248 will be the closest star. Proxima Centauri was discovered in 1915 by Robert Innes, Director of the Union Observatory in South Africa. It is a very dim star that is only 0.17% as luminous as the Sun. Most of its luminosity is in the infrared spectrum. It is a small dwarf that is only 1.5 times the size of Jupiter (1/7th the diameter of the Sun). It is also a flare star that emits X-Rays. Proxima Centauri is gravitationally bound to the Alpha Centauri binary star system. The two orbit each other once every 500,000 years. The two systems came from the same star cluster. From Proxima Centauri, the Sun appears as a bright .4 magnitude star in the constellation of Cassiopeia. From Alpha Centauri A or B, Proxima is only a fifth magnitude star. Proxima III is on the third planet in the Proxima solar system. Its magnetic field protects the inhabitants from the dangerous flares. It orbits well outside the habitable zone of the miniscule star. Proxima III is one of Earth's largest colonies. It was founded June 10, 2164. In 2247 the Minbari conquered Proxima III on their way to Earth. On April 13, 2260 Proxima III declared their independence from the Earth Alliance. In September 2261, Babylon 5's forces liberated Proxima III from President Clark's forces. Proxima III has a tachyon relay station, a military base, and a jump-gate. Recent celebrations on Proxima included the 50th anniversary of the declaration of independence (2310), the 150th anniversary of the founding of the colony (2314), and the 400th anniversary of the discovery of Proxima Centauri (2315). Xiao Chen's ancestors left Earth long ago and settled on Proxima III. Some of her ancestors left Proxima III after the Minbari attack and settled on Canton I Colony, aka as New Canton (founded between 2228 and 2249 - I will say it was founded in 2228). Xiao Chen maintains ties with family on Canton I Colony. The capitol is New Canton City. Other communities include Panyu (an old name for Guangzhou), New Shanghai, and New Beijing. The largest river is the Pearl River. The flag for Canton I Colony has 6 banyan trees on a red background. 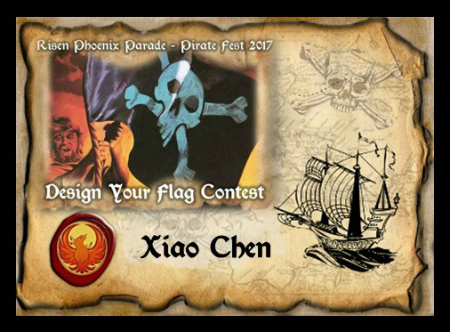 Xiao Chen's personal ship is called the Qiye Hao (USS Enterprise). 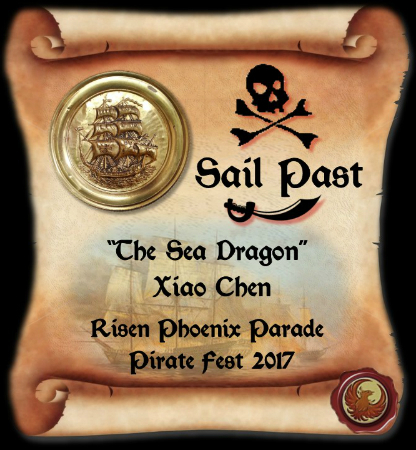 Her merchant fleet ships are named after the sea: The Haiying (Sea Hawk), Hailong (Sea dragon), Haihu (Sea swan), and the Haifeng (Sea phoenix). Her ships bring food and trade from the old Earth Alliance, Narn, Minbar, etc. She is a great fan of history.